The wait has been long and torturous for the fans, but football action is finally back for another exciting season. Real Madrid kicked off their pre-season preparation last July 15 and this Sunday night, the squad traveled to England to face AFC Bournemouth at the Goldsands Stadium. 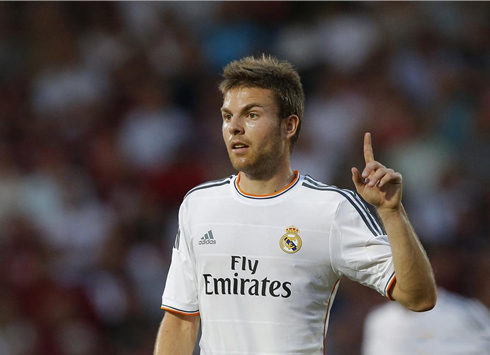 The Merengues, now under Carlo Ancelotti's orders, didn't find problems in dismantling their opponent's strategy and won the game with a convincing 0-6 result. Ancelotti's picked up a strong line-up for his debut, even though he had in mind to switch off almost the whole team at half-time. Cristiano Ronaldo played the first 45 minutes but that proved to be more than enough to show everyone that he's ready to up the stakes this season and go after his highest goalscoring record (60 goals in the 2011-2012 season). The Portuguese scored Real Madrid's first two goals of the pre-season and still saw Sami Khedira, Higuaín, Di María and Casemiro putting their names in the match score sheet. A new season under a new manager is always likely to raise some good share of skepticism around the performance of certain players. That doesn't seem to be the case of Cristiano Ronaldo, who always delivers no matter what happens on his club's bench. It has been like that since he started playing for Laszlo Boloni in Sporting CP first team and judging by what we saw this Sunday night, it won't be any different with Carlo Ancelotti. The Portuguese star is commited with the club and decided to put on a show in Real Madrid's six goals win against Bournemouth. 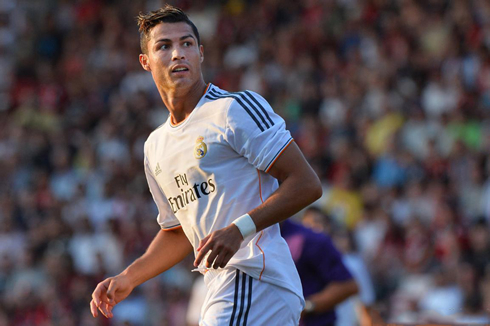 The first goal came on a trademark Ronaldo free-kick, around the 22nd minute of the game. The 28-year old forward showed all his power and pinpoint precision from a long-range set piece, following a foul committed on his teammate Sami Khedira. The tomahawk and knuckleball technique gave no chance for Bournemouth's goalkeeper to prevent the first goal and allowed Real Madrid to start building up a comfortable result against the English side. Nearly 20 minutes later, Cristiano Ronaldo added another to his tally, this time after seizing a capital mistake from Bournemouth's centre defender Elphick, who tried to control a long pass made by Isco, but ended up letting the ball skip away from his reach. Ronaldo was in the right place to capitalize on his opponent's error and found little trouble to get past the goalkeeper and slot the ball in for his second in the afternoon. The Merengues weren't planning to hit the brakes just yet and the third goal would still arrive thanks to Sami Khedira's good first-touch. The former Malaga midfielder, Isco, took the corner kick on the left and Khedira showed some quick reaction skills as he pushed the ball in with a nifty touch using his right foot. 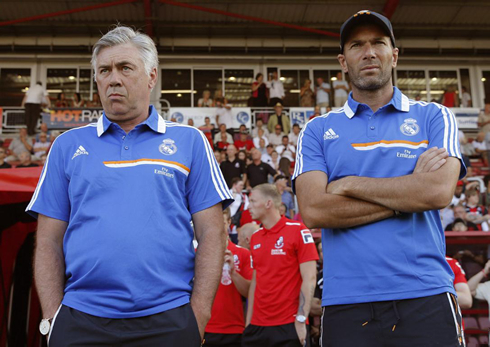 That goal sealed the deal for the first half, as Ancelotti was preparing to make big changes for the second period. Real Madrid's Italian manager came on to the second half with 9 different players on the pitch, as he only left Carvajal and Nacho to go through in the game. One of the players that was brought in was Gonzalo Higuaín and it took him no more than 75 seconds to put his name in the game sheet. Alvaro Morata had a nice initiative in the middle, from which he managed to drop the ball to Higuaín and put him face to face with Bournemouth's goalkeeper. Despite the many rumors about an eminent deal with Napoli, the Argentinian didn't lose his focus and hit the back of the net to make it 0-4 for the Merengues. The fifth goal was scored by Angel Di María, in a characteristic run from the Argentinian. The former SL Benfica player picked the ball just a few a meters ahead of the midfield line, then ran with with it close to his feet and heading to the center, just before striking it the low corner of Flahavan's goal. Nice goal from the 25-year old, especially now that the club seems to be insisting in signing Tottenham's star, Gareth Bale. 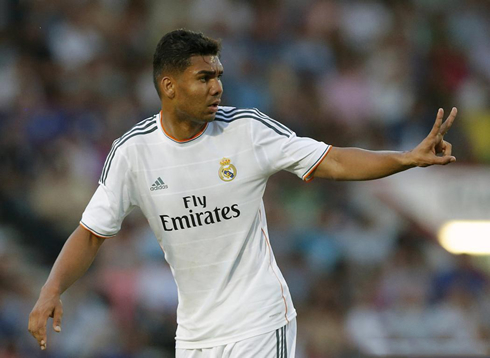 The count was closed with a debut goal from Casemiro, in the 83rd minute. The Brazilian picked up a pass from Angel Di María, kept his composure in front of goal and struck the ball past Bournemouth goalkeeper, right into the top left corner. The English side gave their best throughout the whole game, but Real Madrid proved to be far superior and the 0-6 final result ends up mirroring the differences between the two teams quite fairly. Real Madrid will now take on Olympique Lyon next Wednesday and should already be able to count with the Spanish and Brazilian international players that were given a few extra days of rest, after having played in the Confederations Cup. Iker Casillas, Sergio Ramos, Arbeloa, Xabi Alonso and Marcelo are expected to join the team's pre-season preparation tomorrow morning. 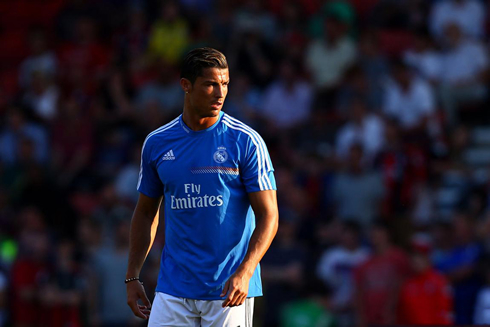 Cristiano Ronaldo next game for Real Madrid will be against Lyon, this next Wednesday (July 24, 2013), on another friendly match agended for this pre-season. In the meantime, you can watch Lyon vs Real Madrid, Bayern Munich vs Barcelona, Yokohama vs Manchester United and Nagoya vs Arsenal, all matches provided from our live streaming section.